The Thermac 200 Combination Louvre by McKenzie Martin is designed to work as a controllable, low leakage ventilation source for either inlet or exhaust. The individual unit consists of an A rate weather louvre to the exterior with a controllable PVC daper to the inside. The come as single units or can be joined together to form banks of unlimited height and width. All units are suitable for mounting into cladding, glazing and brickwork. 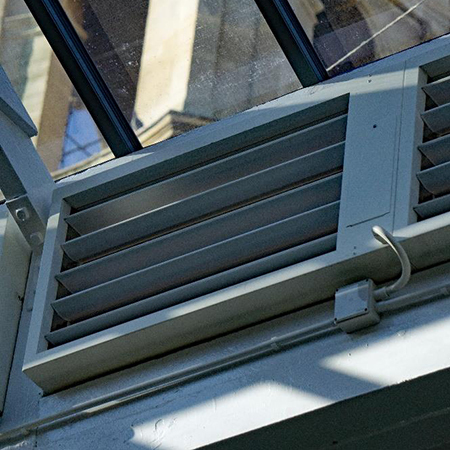 Manufactured from extruded aluminium, the Thermac 200 louvres have a U value of 1.2W/m2°C. It has integrated blade seals and stainless steel side seals and fittings with a 2.85m2/h per m2 leakage at 50PA. 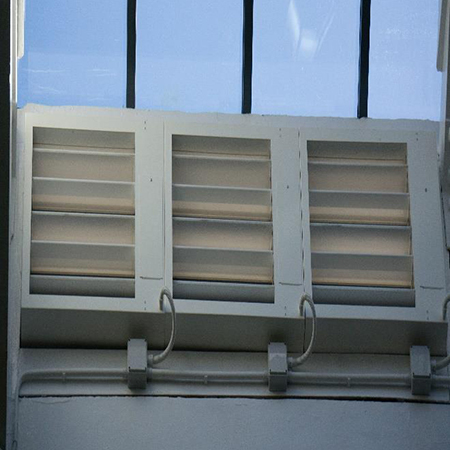 Ideal for use as intake/extract louvres for offices, schools and other interior spaces where thermal loss and draughts may be an issue. 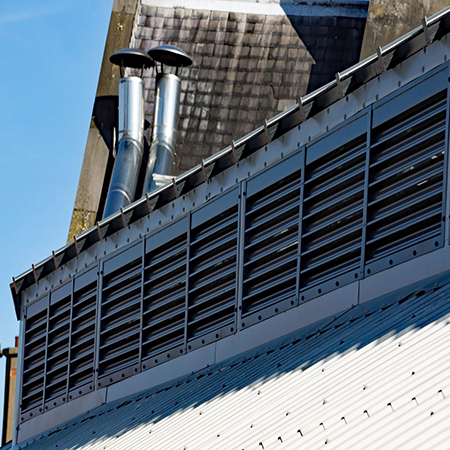 It can also be used as balances louvres for building management systems or for thermal release purposes. The units can be provided in mill finish aluminium, polyester powder coated or marine grade polyester powder coated and fitted with an optional bird mesh or insect mesh.